Place your order by Thursday at 10pm to have it available for pickup the following week. Your order will be ready for you at your selected Pickup Location from 4-6pm on the day you choose when ordering. 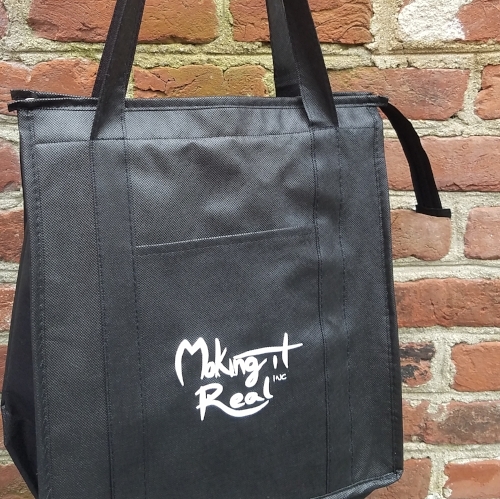 Our Reusable Bags are insulated to keep your food at temperature until you get home. Just remove the plastic lid and follow the oven heating instructions underneath when you are ready to heat your meals. Be sure to refrigerate all items until it's time to cook. Know that your meal was prepared using organic and responsibly-grown ingredients, from local Virginia farms and producers whenever possible. To reduce waste, we reuse our dishes, bags, and ice packs. Please wash all dishes after use, and the aluminum foil is recyclable as well..
Read our Glassware & Materials Policy here. Simply return your bag to your Pickup Location the following week!